Texans love Whataburger. Patrons try to "out Whataburger" each other with creative topping combinations. Senate candidates ridicule each other over their orders. Zealous defenders fire back at clueless Yankee transplants who try to garner cheap page views with pointless insults about its quality. 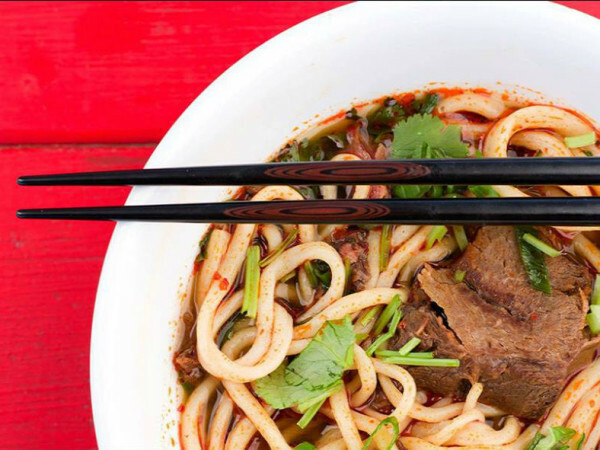 Given all that, perhaps it was inevitable that the San Antonio-based fast food chain would link up with another Texas brand to provide a way for fans to show their devotion. 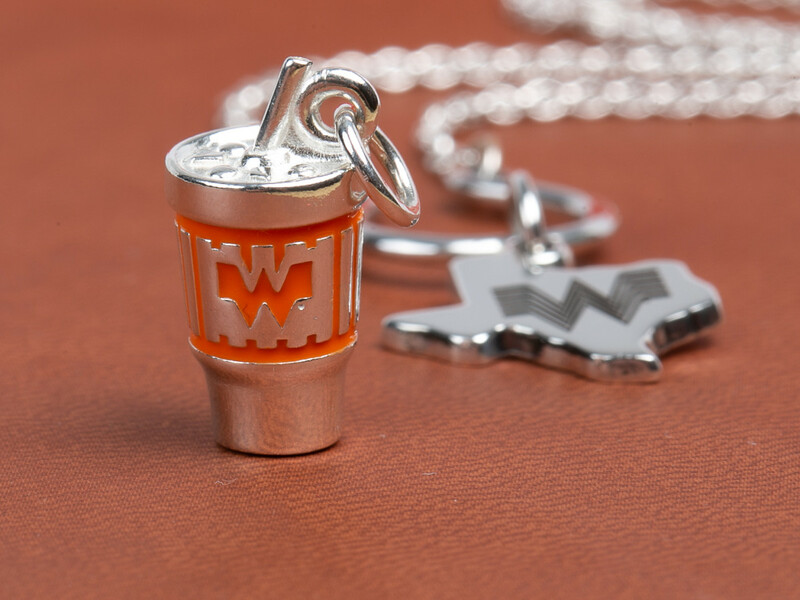 For the second year in a row, the company is uniting with Kerrville's James Avery Artisan Jewelry to produce a Whataburger-themed charm: a sterling silver totem shaped like a Whataburger cup and hand-painted with orange enamel. 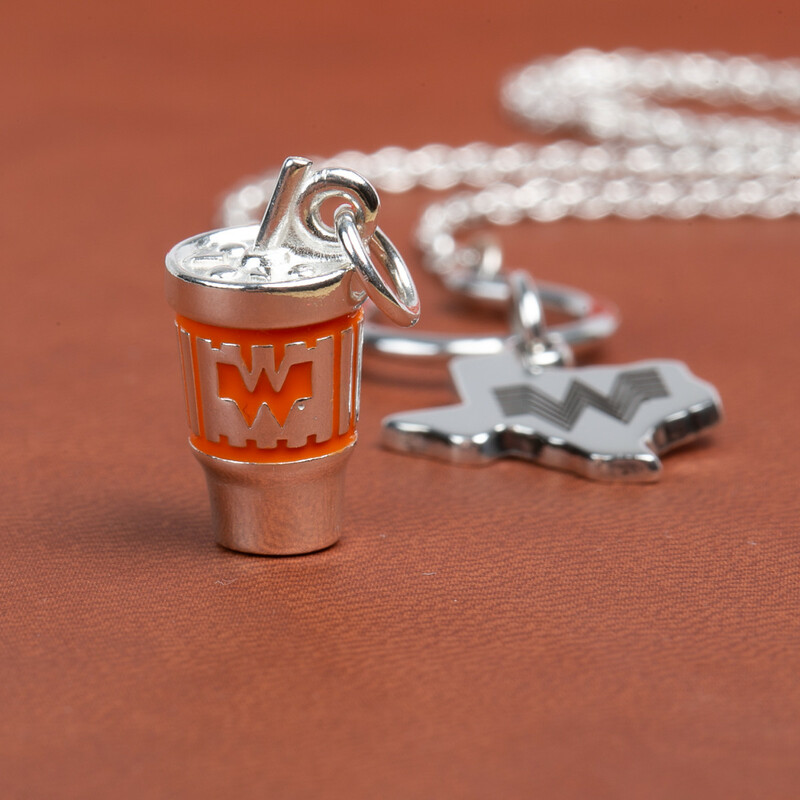 It is available now via the James Avery website or Whataburger website for $80. 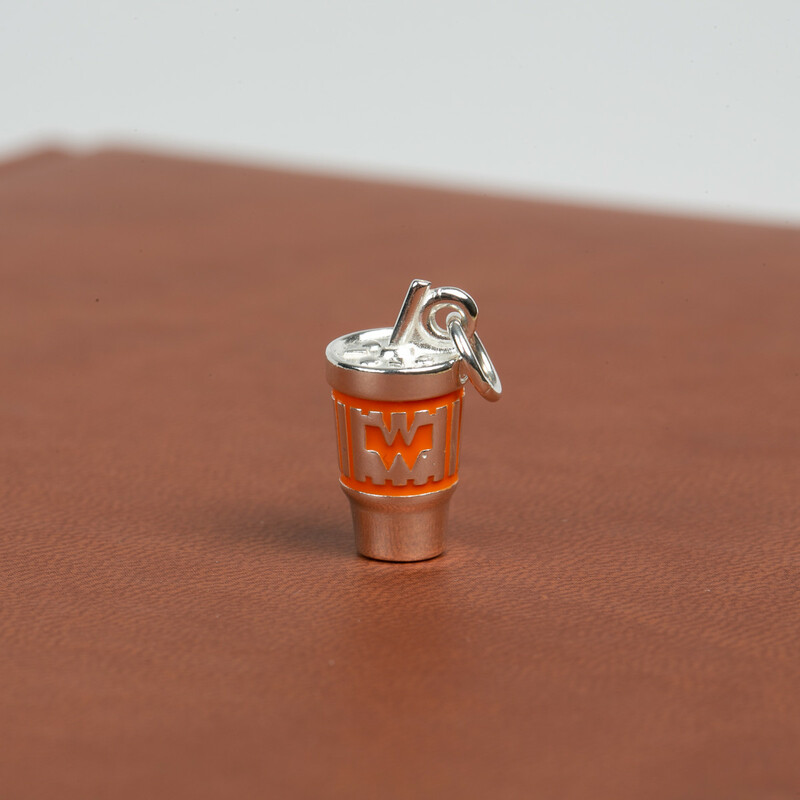 The cup charm joins a Texas-shaped charm with the "flying W" logo in a growing Whataburger-inspired collection. The charms are a hit. Last year's initial run sold out in less than 24 hours and fetched big bucks on eBay before supplies caught up with demand. Still, it seems fair to ask: who are these for? And what does it say about the person who wears one? Would anyone feel the same impulse to buy a charm that depicted McDonald's Golden Arches or a Burger King crown? Most James Avery charms depict a hobby, interest, or accomplishment. It makes sense that someone might want to pay tribute to a favorite pet, an instrument they play, or graduating from high school. 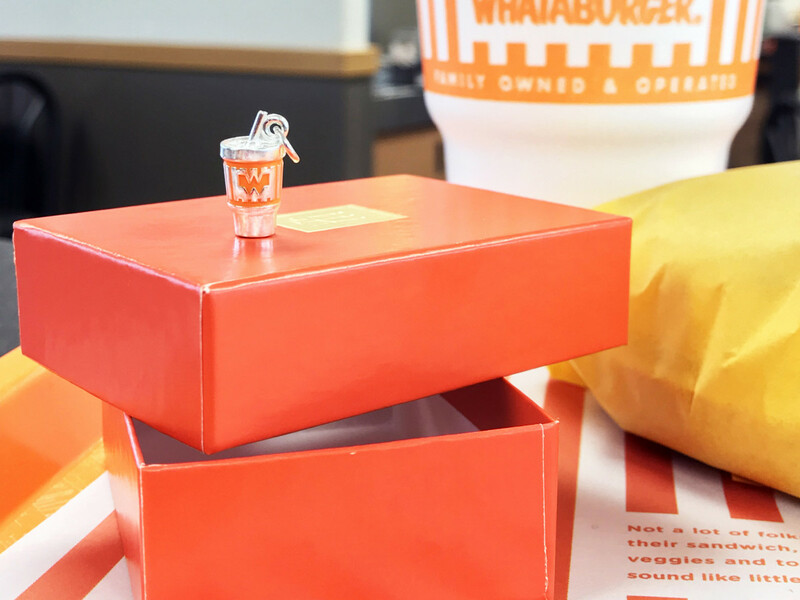 On the other hand, a Whataburger cup represents, what exactly? A fondness for sitting in a drive-thru line at 2 am waiting for taquitos? Also, how many more of these can the companies develop? 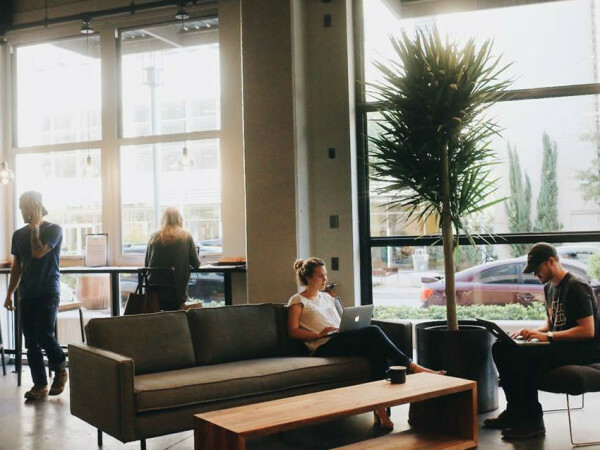 Should we expect a box of fries in 2019 and a to-go bag in 2020? 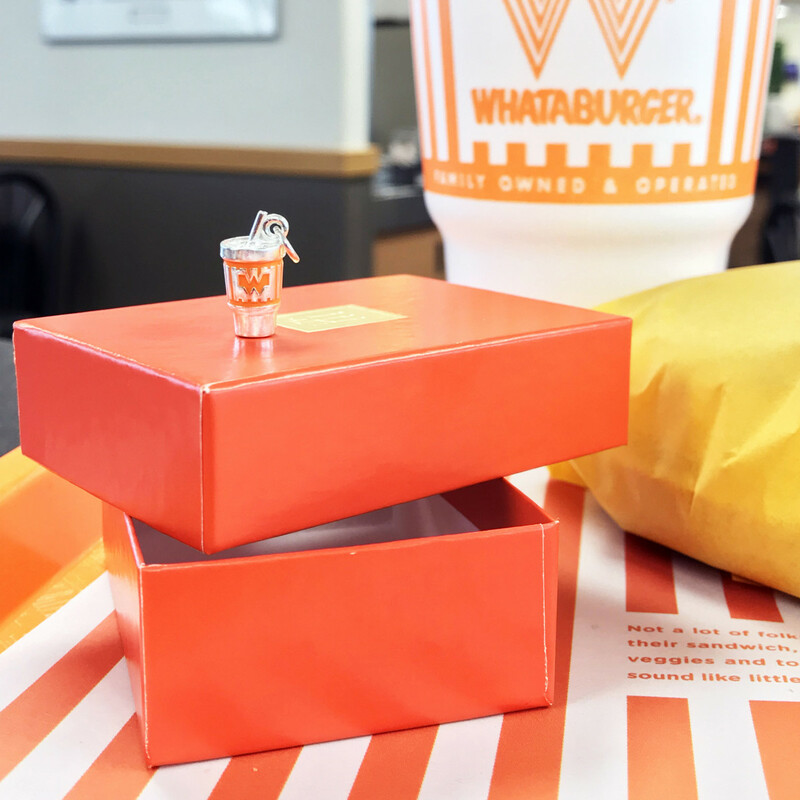 Should we start speculating about what a Honey Butter Chicken Biscuit looks like in sterling silver? 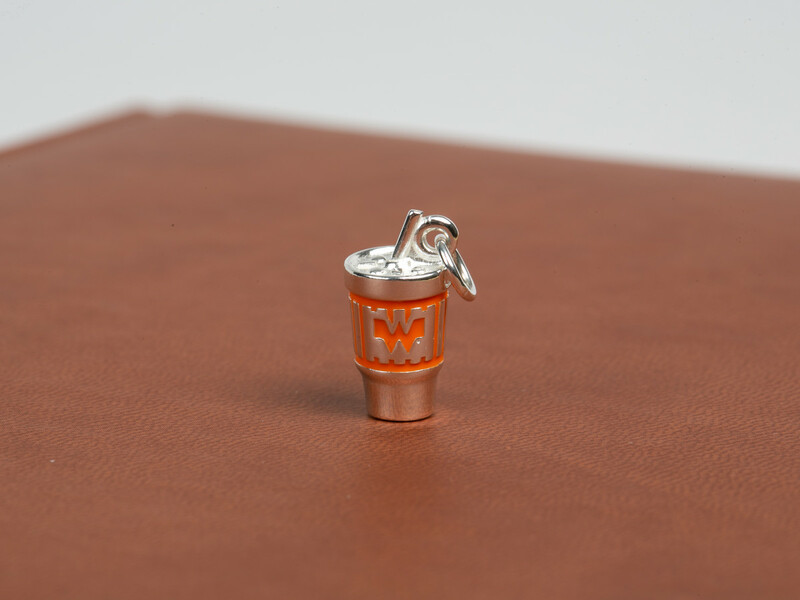 No one's saying people shouldn't buy this charm as a gift for a friend or loved one. Just be careful in choosing the recipient. After all, it's a thin line between "I think you're a fan of kitschy Texas memorabilia" and "you sure seem to drink a lot of Dr Pepper."